A sweet-yet-sincere portrayal of one man’s search for answers to a puzzling riddle. J.D. and his wife Karlie have enjoyed a long, good life in the small town of Hanson, NC. But problems with the family business, conflict with their college-age daughter, and ripples in their otherwise happy marriage have threatened the idyll. Then things get even more challenging when J.D. 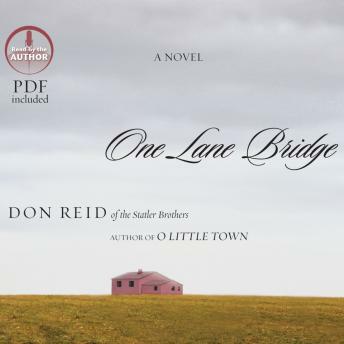 meets a needy family just across a one lane bridge – only to discover things aren’t at all what they seem. Is J.D. losing his mind? Or is he just where God wants him to be? Basically, the story wasn't that interesting and I think it was a stretch to call this a "Christian" book.